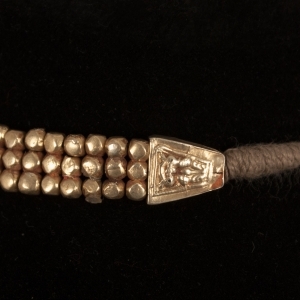 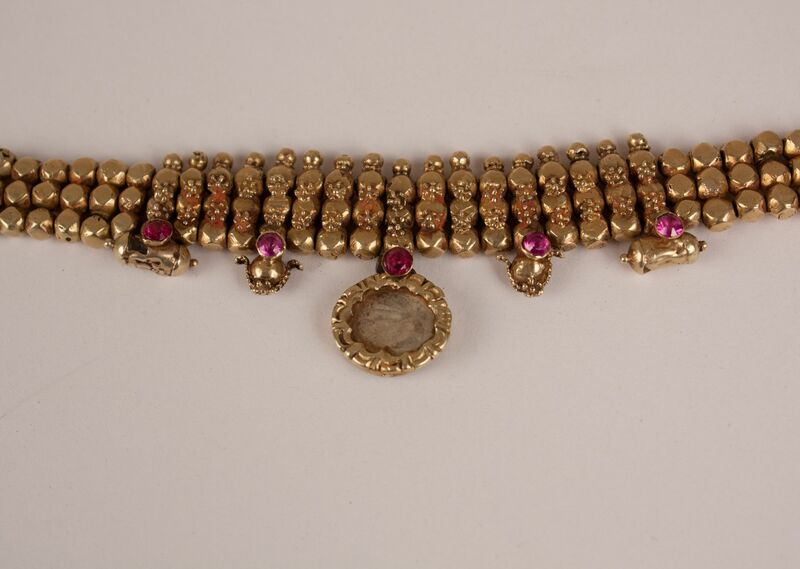 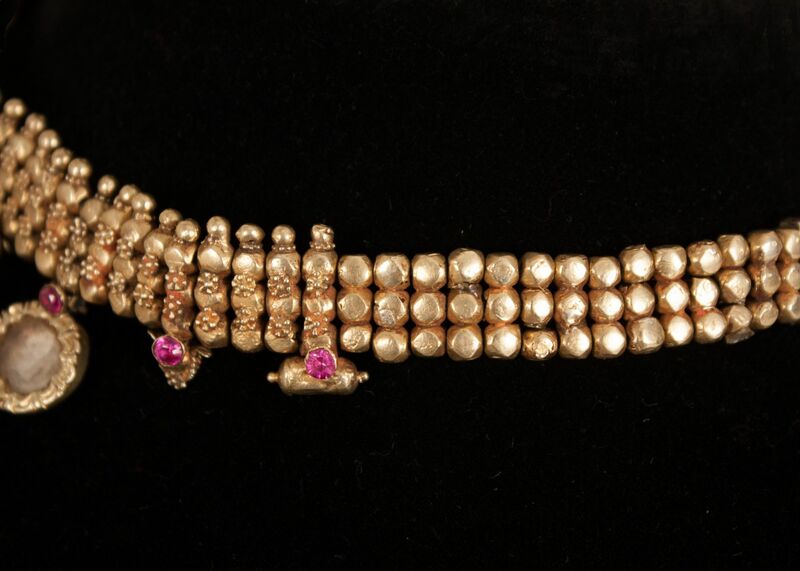 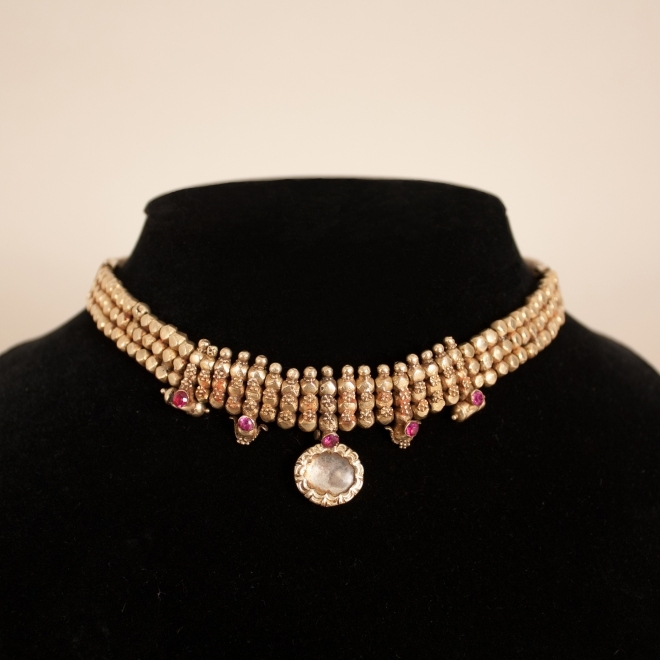 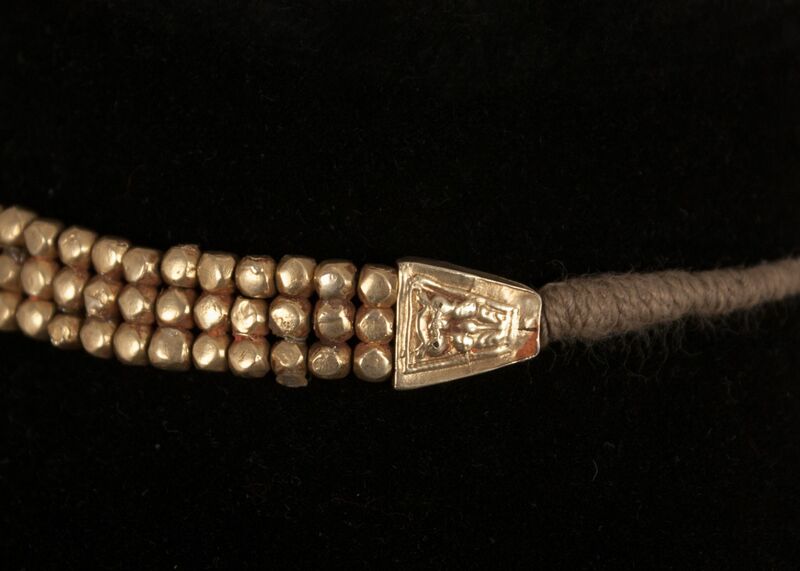 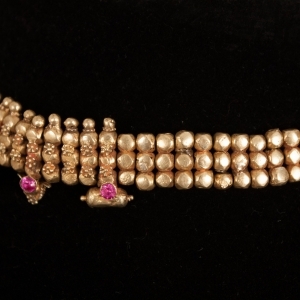 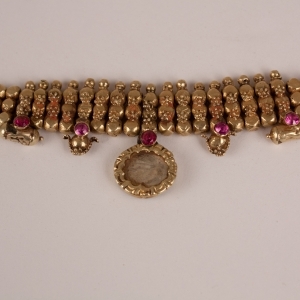 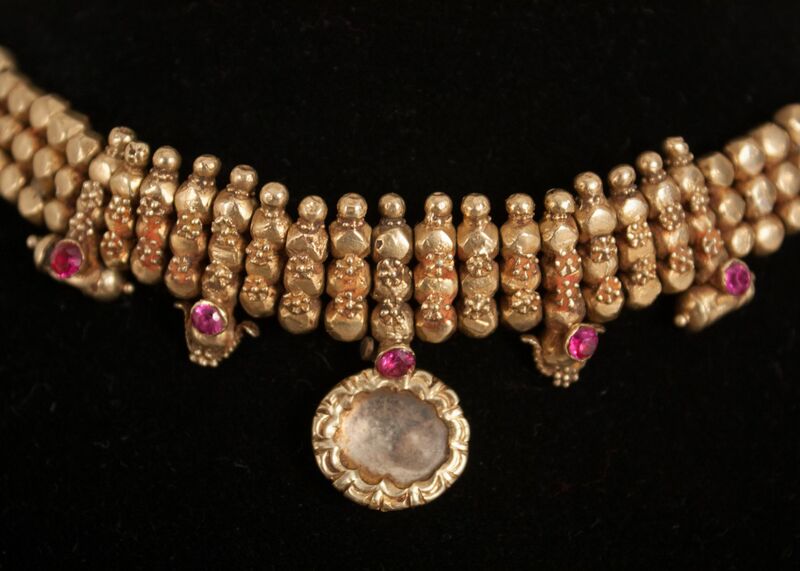 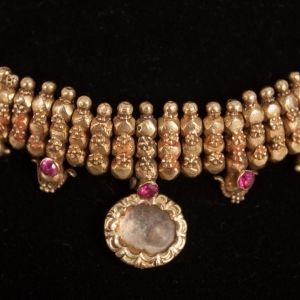 A traditional 22-karat gold over wax bead choker from Rajasthan, India, circa 1930. This exquisite necklace is adorned with fine gold granulation work, five faceted rubies, a foil backed crystal centerpiece and delicate amulets and ornaments. 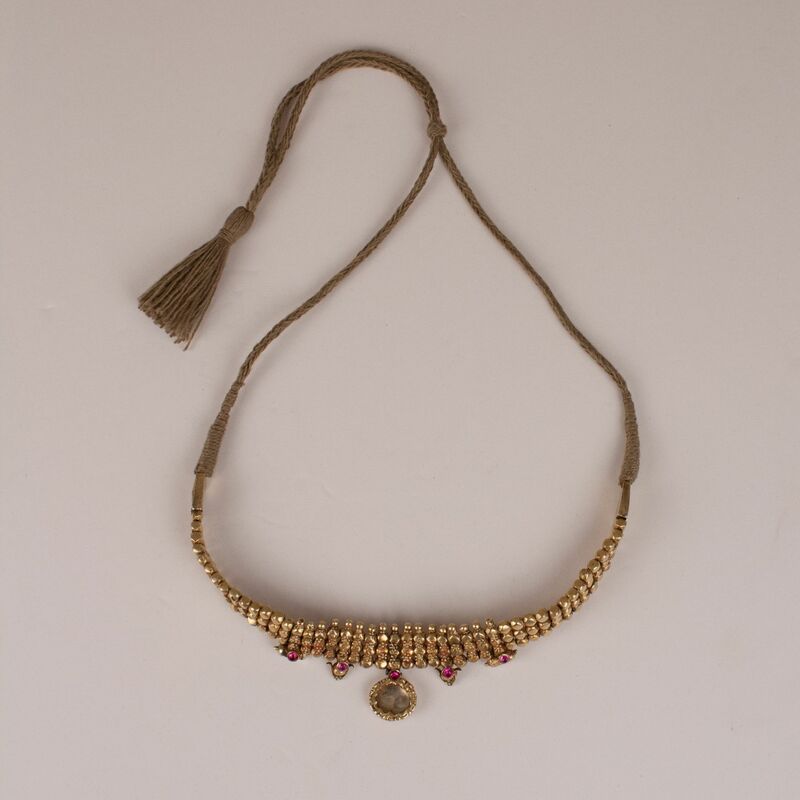 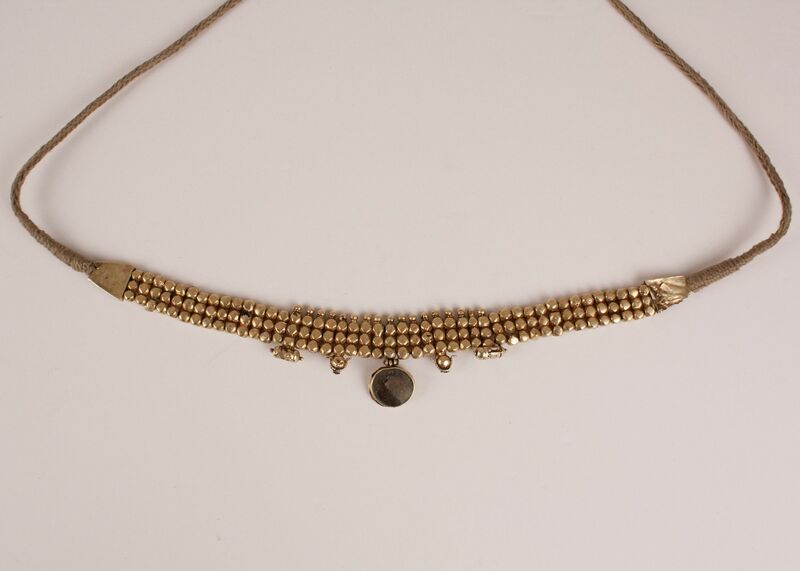 The choker, which has been restrung on natural cord, is finished with beautiful stamped gold beads. 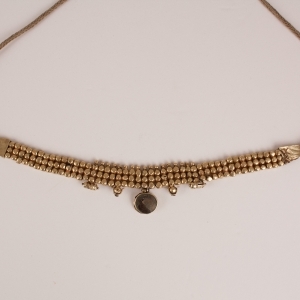 Width of this adjustable choker is .75 inches.